I missed a call a couple of weeks ago from a friend. I was in Sydney, my phone was on silent, I was very busy sleeping in. 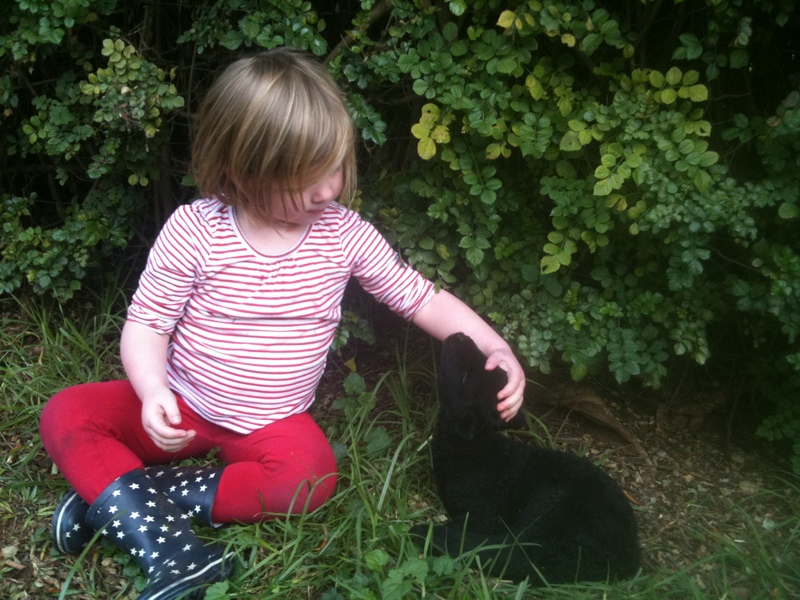 She sent a text later in the day saying the lamb had found a home, no worries. As quick as I could I went back and listened to her voicemail. Early that morning a ewe had had twins. And had rejected one of them. Seriously rejected him. Was head-butting him into the ground, trying to get rid of him. Full on, hey? 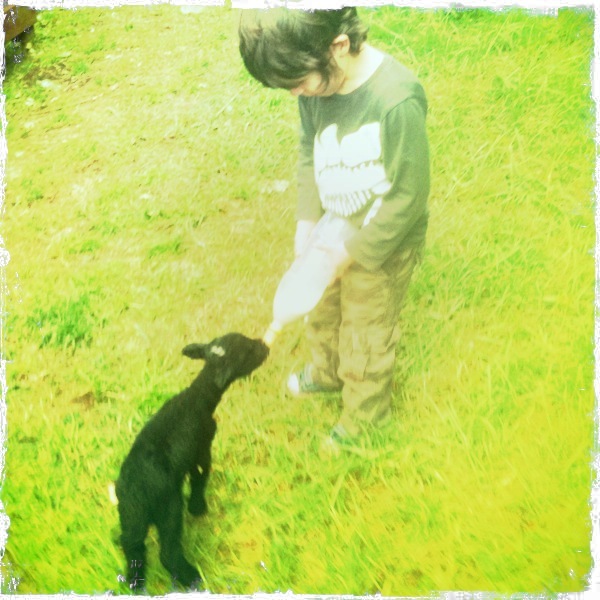 And so a rescue mission ensued: who could take on a newborn lamb? Someone with space. And time. 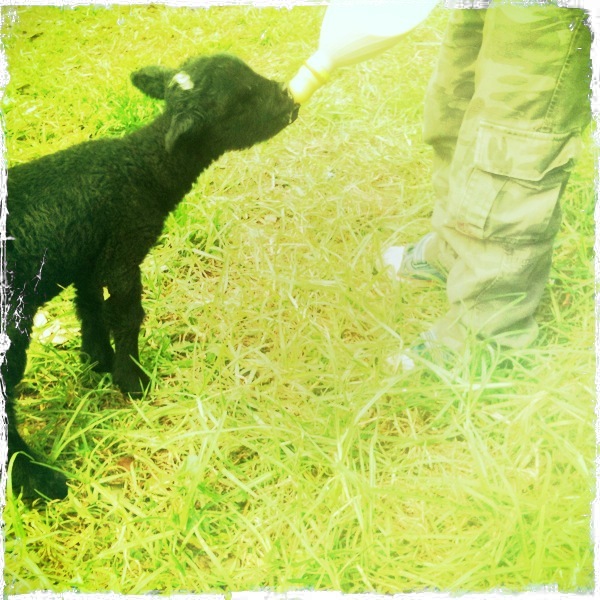 A weeny lamb is a lot like a newborn in terms of feeding. A friend down the road here, Vanessa, took him in. And we got to meet him last week. The photos aren't great, I got my camera out and discovered a flat battery. These were all taken on my iPhone. And I was not a good enough photographer to capture his wiggly waggly tail. That was the cutest thing I've ever seen. 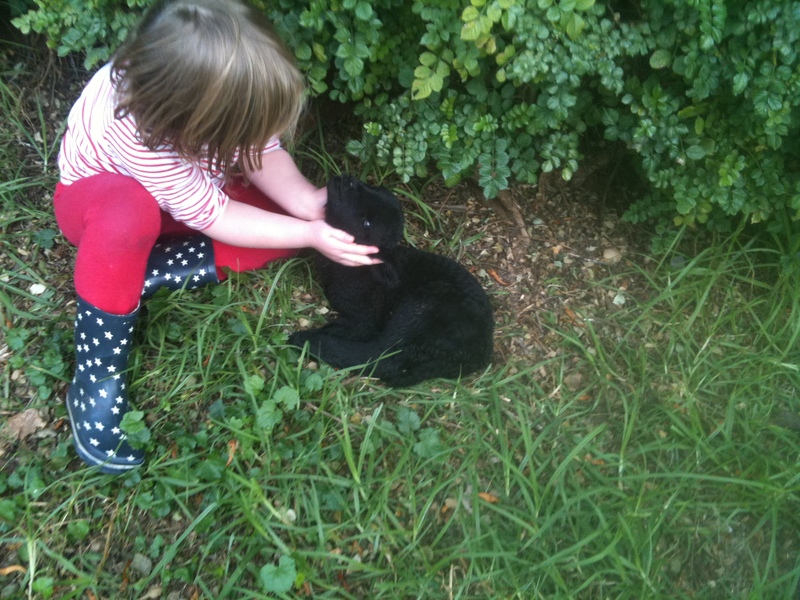 A black lamb! I expected a white lamb, don't know why, Vanessa's other sheep are all different colours, she has a gorgeous mixed flock! He was just about the cutest thing ever. Remember – the secret phrase is Baa Ram Ewe! I love it so much. I always wanted a mob of coloured sheep. Now if only I could find a house do I csn have my tree change. With lots of typos, sorry. 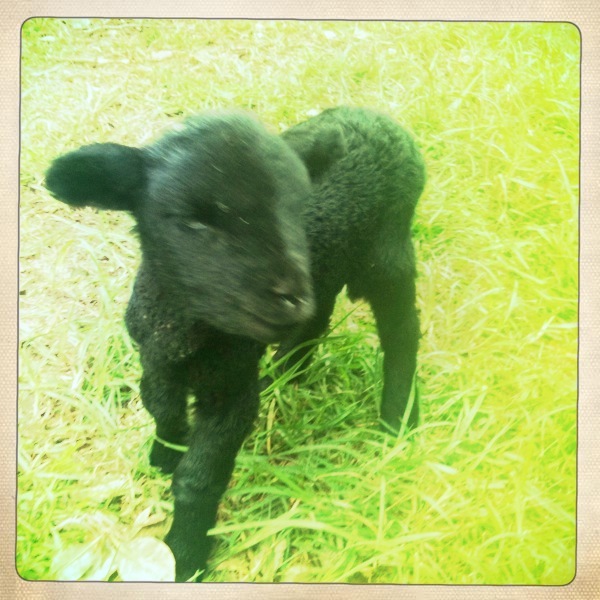 oh my, i want a little black lamb like that! Adorable. I know that I am vicariously reliving my own childhood through various things you have posted here (apologies for that). I had a little flock of orphan lambs when I was a child which I bottle fed. At one point I had six and they even had collars when they were bigger so we could haul them out of the flower beds. One year they contracted a nasty skin infection on their lips (called Orf) which I managed to get in a cut on my hand. I got a whole week off school as it is so rare in humans they werent sure if I’d give it to the other kids. My siblings still take the #$&% out of me for that one! Maybe you need to keep your ear out for another orphan? I’ve been missing you terribly and wondering why you weren’t coming up in my reader anymore, and just figured out that you must have changed something on your blog! It’s all under control, I have re-subscribed, and very happy to see all is ok with you and the fam. We had pet lambs at my Granny’s cottage in Yorkshire in the UK when we were kids. We used to go up to visit at Easter and if there were any that needed looking after from my Uncle’s farm then we got them (plus bottles and all the feed from him). They follow you round everywhere, glued to the side of your leg. Seeing the pics of bottle feeding brings some of my best memories of childhood times up there.